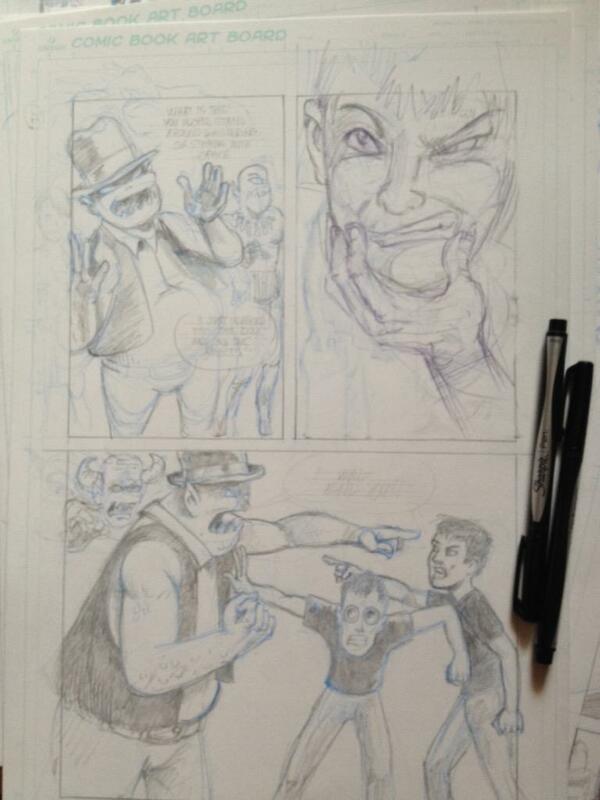 Pencil version of a Land of Confusion page. A monster KOs Jack & taunts all about it. How will it end?! Well, you’ll just have to wait and see! Consider this our teaser trailer.